I know what you are thinking, yet another bird related game on the App Store, is there room at the top for anymore? Considering the top 3 paid games in the app store are Angry Birds Rio, Tiny Wings, and Angry Birds it seems that the “bird niche” is pretty much under control. After playing “Drop the Chicken” for a few minutes, I can definitely see another game of the avian variety within the top 5. 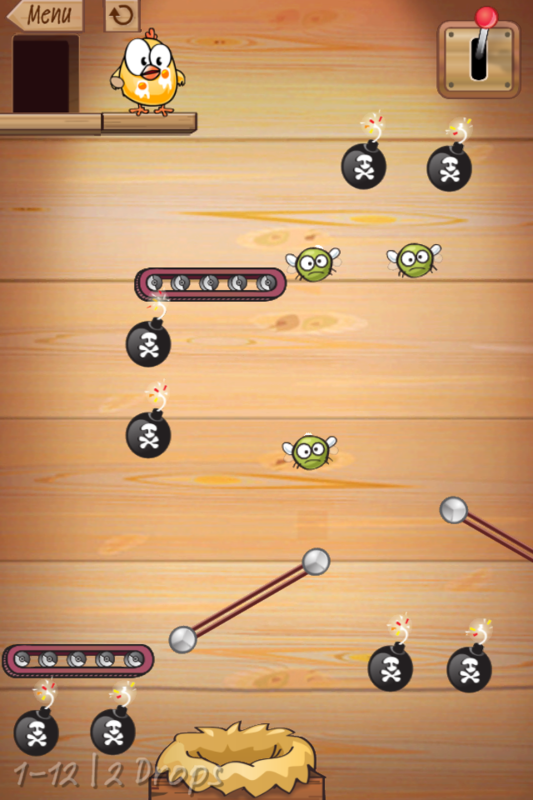 A comparison between Drop the Chicken and Angry Birds stops at the fact that they both have birds as the dominating character. 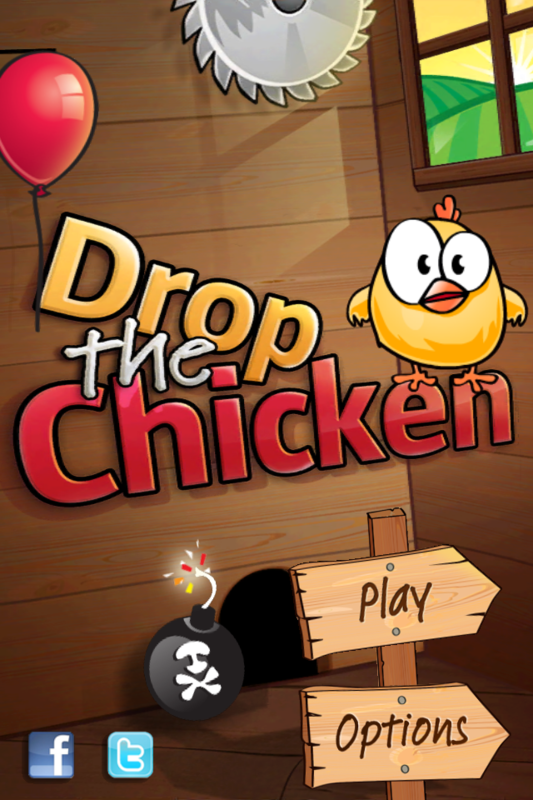 Drop the Chicken is very similar to Cut the Rope. The object of the game is to move the rubber bands, balloons, springs, conveyor belts, fans and other tools into position and then flip the lever to make the chicken drop. 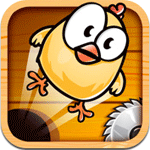 You will see the chicken bounce, catapult and float around your screen with the use of these tools. The goal is to set up tools like the rubber bands in a way so the chicken collects all the bugs and then falls comfortably in the nest. 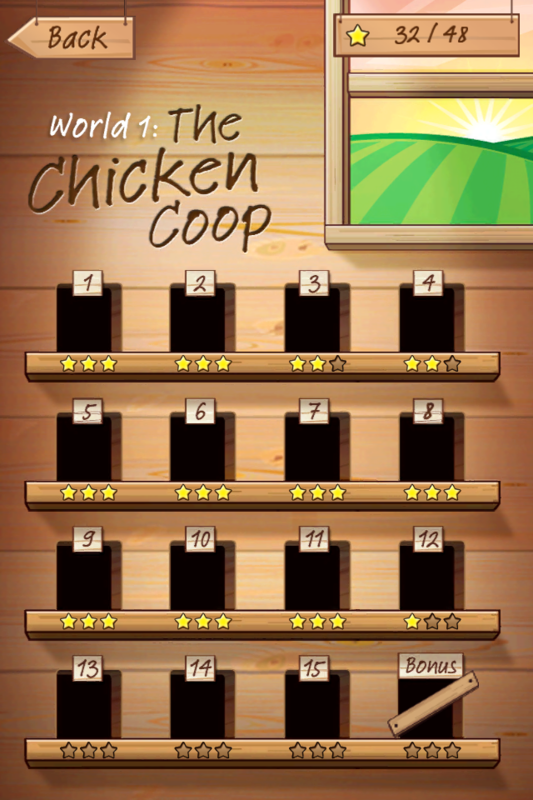 Drop the Chicken is much more challenging then Cut the Rope. While I was able to get through the levels pretty quickly on “Rope”, Drop the Chicken got more difficult a lot faster. It takes some time to figure out how to place the rubber bands so the chicken bounces the way you need it to. It became a little bit easier when I finally figured out (my wife told me) that you can move the wooden blocks. Initially, I tried to move the wooden blocks but they would not budge so I thought they were stationary. This brings me to one of my annoyances about the game, sometimes I have to try to move the tools several times before I can put them into place. The “Chicken” graphics are very nice looking, you can tell a lot of work went into this game to get it polished and looking just right. With five worlds and 16 levels per world you will be playing this game quite a while (at least I will) trying to get three stars on 100% of them. Which reminds me, getting three stars is not as easy as on Cut the Rope. You have to accomplish this in a certain number of drops in order to get all three stars. Finally, if you want to try this game out before you buy there is a lite version available for download. I still recommend you drop $.99, it is a great value for such a fun game.